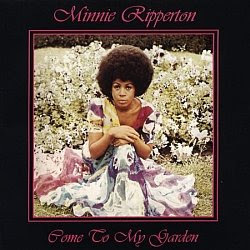 This CD, Ripertons first solo CD/LP(not Perfect Angel which featured the Stevie Wonder produced Ripeton penned "Lovin U") is considered Minnie Riperton's swan song. good looking out....I needed this jawn. Just about everything she ever did, even if it wasn't the greatest, her voice made it wonderful. Ditto what everbody said. Thanks.